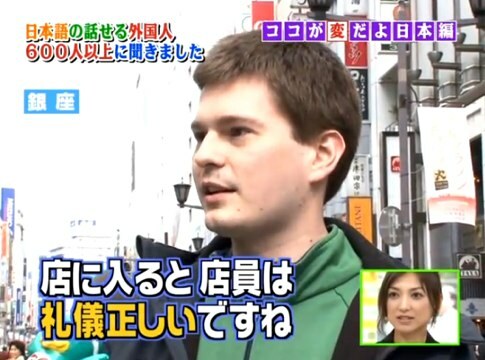 What do foreigners find strange about Japan? Japan has many unique customs which may appear strange at first glance to foreign visitors. 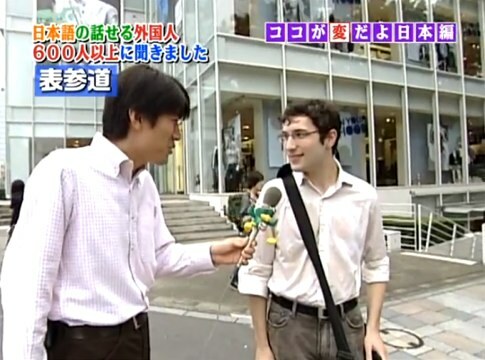 He answers that Japanese girls wear very short skirts. 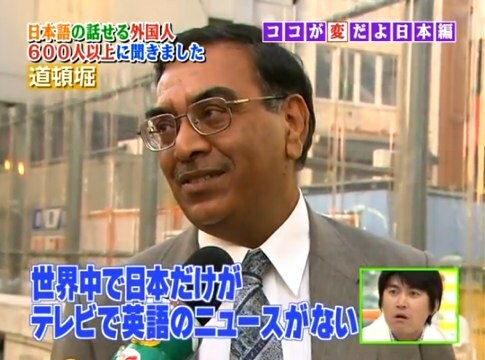 Then a Japanese girl wearing a short skirt comes along and the interviewer tells her what the Papua New Guinea man said about girls wearing short skirts, and asks her what she thinks. She replies that it’s perverted, leaving the guy at a loss for words. The interviewer notices that they have jewelry on their teeth (see the image above) and they reply that it is trendy in the Middle East. They say it is very rare to see Japanese people with that kind of fashion, and that many Japanese frown on that sort of fashion. He finds fruit extremely expensive, especially melons and pears. 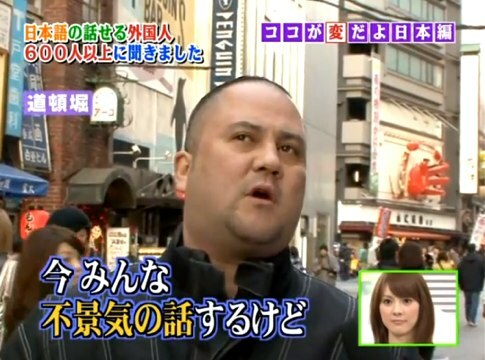 The interviewer asks him the price of a melon, and he answers that he saw a melon in a beautiful box for 6,000 yen. 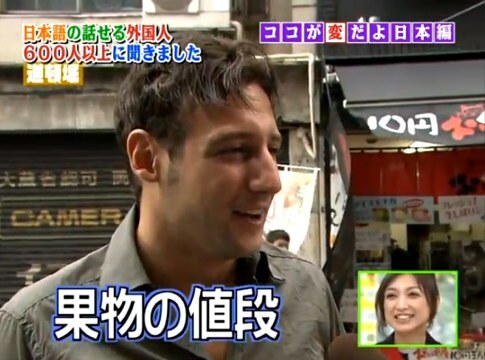 Then he says that you can buy the same melon for only 1 euro (about 160 yen) in Europe. 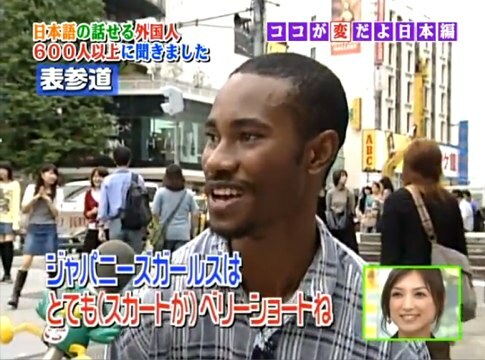 He says that the Japanese language is difficult but he loves it. But he’s puzzled. 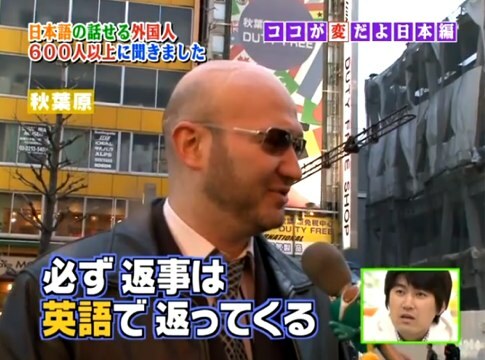 He asks why “Matsushita” is written with “Matsu” (松) and “shita” (下) and “Yamashita” is written with “Yama” (山) and “shita” (下), but why does “Kinoshita” have “no” in between “Ki” (木) and “shita” (下). So there it is. 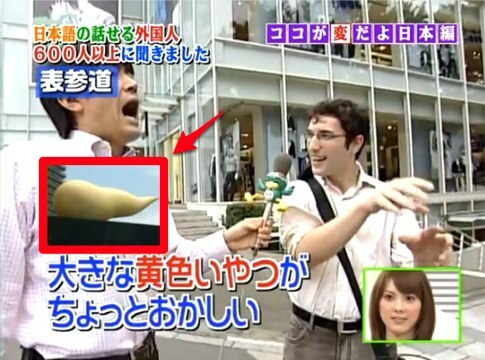 What did you find strange when you first came to Japan? Share your thoughts in the Comments section. Probably a cultural thing. In some ways they are more polite like bowing and stuff but in others they aren’t as polite. 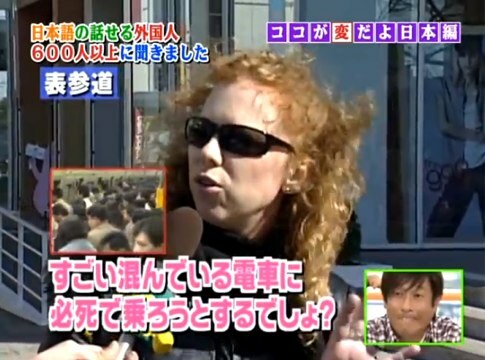 I hate it when Japanese people don’t say, “Excuse me!” when they walk through crowds. They don’t even ring their bike bells or say from where they are approaching when they ride their bikes past pedestrians on a sidewalk. This is so annoying. Is this a regional or cultural thing or are all Japanese people jerks with an inability to be considerate? What is the real point of talento? I do see the purpose with celebrities, actors, actresses, and singers, but what does a talento do? I noticed that in each of these interviews, there’s a small camera in the bottom right corner. I see this in many variety shows. It’s kind of weird, and I’m not so interested in seeing other’s expressions.